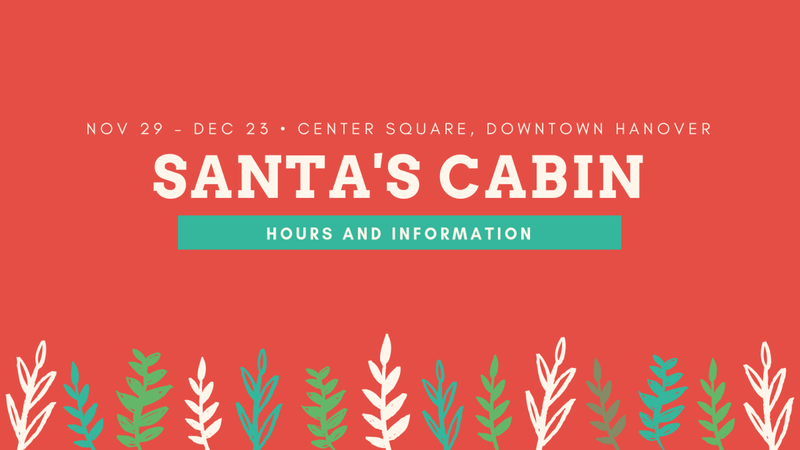 Come visit Santa’s cabin in Center Square this holiday season! Fri. Nov. 29: 9 a.m.-12 p.m., 1-5 p.m., 6-8 p.m.
Mon. 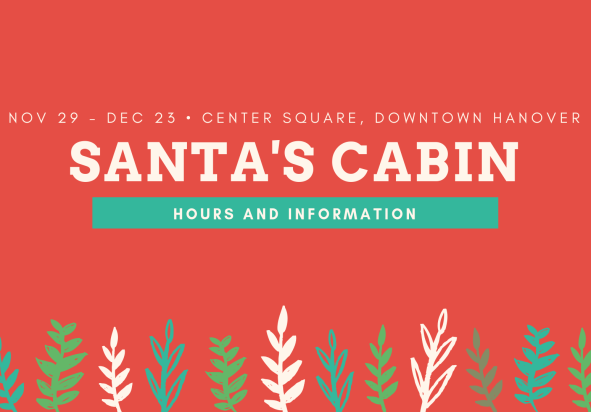 Dec. 2: 6-8 p.m.
Fri. Dec. 6: 6-8 p.m. Sat. Dec 7: 10 a.m.-12 p.m., 1-6 p.m.
Mon. Dec. 9 - Fri. Dec. 13: 6-8 p.m. Sat. Dec. 14: 10 a.m.-12 p.m., 1-6 p.m.
Mon. Dec. 16 - Fri. Dec. 20: 6-8 p.m. Sat. Dec. 21: 10 a.m.-12 p.m., 1-6 p.m.
Mon. Dec. 23: 6-8 p.m.